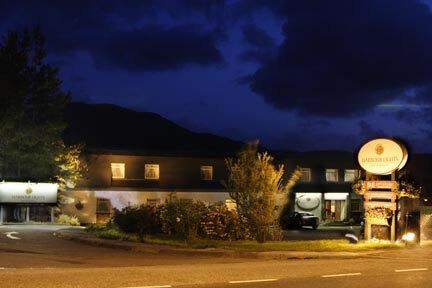 Choose a Loch Broom or Ullapool Bed and Breakfast for a friendly Highland welcome. With so many B&B’s and Guesthouses to chose from you are only a step away from a wonderful highland holiday in Wester Ross Scotland. Ullapool Guest Houses range from traditional, unique, charming or modern but all are warm with professional hospitality. 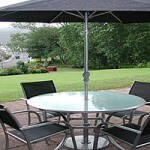 B&bs in and near Ullapool large or small to cater for any budget. A holiday in the scottish highland village of Ullapool is waiting for you. Please browse thought our selection of properties, click the photos for booking details many you can book online. 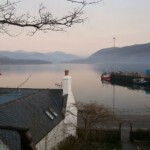 Please mention www.ullapool.co.uk when you book and send us your holiday photos! Holiday in Ullapool for all the family. Ardlair is situated 1 mile north of the picturesque fishing village of Ullapool, enjoying an elevated panoramic view over Lochbroom and surrounding mountains. We have a choice of spacious family or double rooms, all with private shower rooms. All rooms are well furnished and have tea/coffee making facilities and flat screen Tv’s. Spacious offroad parking. A warm welcome awaits all who wish to sample our hospitality, relax and enjoy the beautiful scenery…Broombank overlooks the Summer Isles and Golf Course in a quiet location, a leisurely ten minute walk will take you to the harbour, shops, pubs and restuarants also quick easy access to the ferry terminal. A Traditional 19th Century stone built house situated in the centre of Ullapool. Guest accommodation is comprised of five bedrooms, three of which are en-suite, and one which hosts an antique four poster double bed. All rooms have access to a lounge with real coal fire. Glendhu provides high quality accommodation, ranging from twin rooms, to family ensuite rooms. 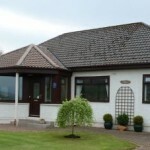 The house is situated in an elavated area looking over the park and watersports jetty. Glendu provides a full range of breakfast options including, fully cooked scottish, continental, and vegetarian dishes. The dining room is situated overlooking the patio, with excellent views over the seafront and Ullapool harbour. 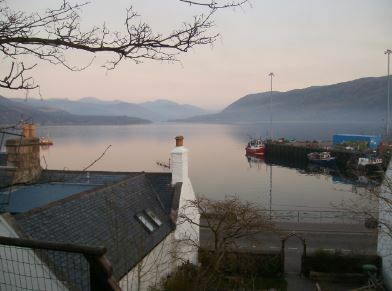 The Harbour Lights B&B is situated on the picturesque shores of Loch Broom, and just a short walk from the pretty fishing village of Ullapool. The views of Loch Broom and the surrounding hills are stunningly beautiful.A Warm Welcome awaits guests at the Harbour Lights. Our B&B is ideally situated on the waterfront close to the ferry terminal, the pubs and good restaurants,with outstanding views over Loch Broom . Make Ullapool your base ,go hill walking, trout fishing, play golf or simply relax in our vibrant village. Evenings, there is often music: from traditional to cool modern stuff. We have one double room and one twin room sharing separate shower and bathroom. Both rooms can accommodate 3 people if required. We have a small single room upstairs. Free Wi-Fi. Cenral heating in all rooms.Tea and coffee making facilities. Open all year. Rates according to season B&B from £25 to £ 40 per person per night.Discount for multiple nights. A warm and friendly welcome awaits guests at this comfortable detached modern home, which stands peacefully besides the shore of Loch Broom. Breakfasts include home-made sausages and three types of locally smoked fish. The adjacent Sportsman lodge offers a variety of facilities including a sauna and a laundry/drying room. Local fishing can be arranged.